I’m crying, too. O that God would infuse my heart with such a sense of immediacy. How crazy! This museum has two locations, you went to one…and I to the other. My experience was completely different…and I absolutely loved our visit! I did not catch any of those stories…in fact, I don’t believe they were mentioned in the Branson museum. I love the heartfelt view that you found, perhaps I will visit the TN location to find that as well. 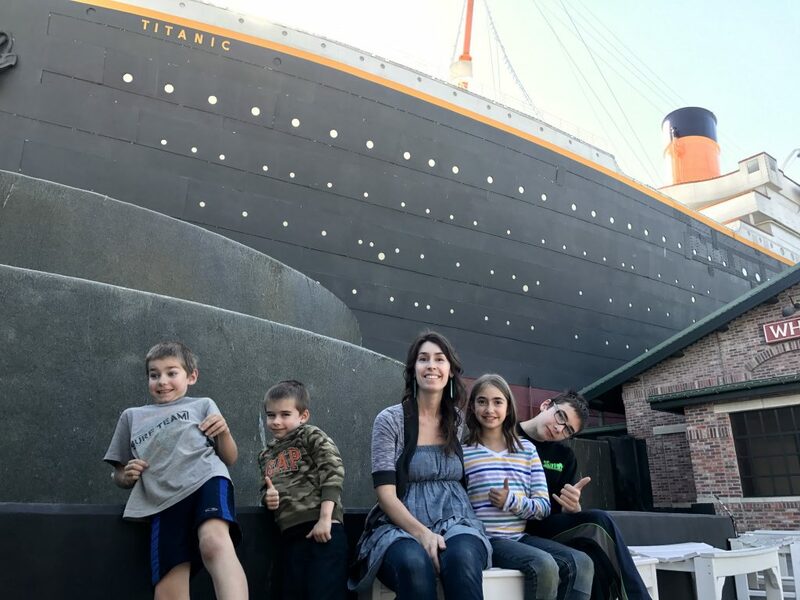 It sounds like Branson and Pigeon Forge are very similar in the marketing of tourism, though the Titanic ship in Branson is enormous! I also found it fun that we both went to different locations. How interesting that the stories I loved were missing from yours. Mrs. Straus’s story was told during the audio tour but Reverend John Harper’s would have been easy to miss as I believe I either found it while reading some of the details of specific passengers at the end or perhaps even in the gift shop as part of a children’s book.